Kitsuregawa town became part of Sakura city recently, it is located in Tochigi Prefecture, on the main island, Honshu, in the middle, Kanto region, north of Tokyo. The packaging is the yellow one, and it makes the water slightly cloudy / milky. It is supposed to have a scent of narcissus, but I found it more sulfury instead. Giving it a rating of 2/5. This is my favorite from this box, green sachet. Naruko onsen is in Miyagi prefecture, more to the North, on the main island of Honshu. It is the region that was struck by the 2011 earthquake and tsunami. I found it’s scent to be like baby powder, but very nice indeed. And as I mentioned in the intro, I cannot really describe these. :) It creates milky water (maybe with a hint of green), which kind of gives an impression similar to a real hot spring, cloudy from steam on top. Or at least this is why I prefer milky ones. I gave it a 5/5. My second favorite from these, and the most milky one, you will be hidden under the cloudy, white water. 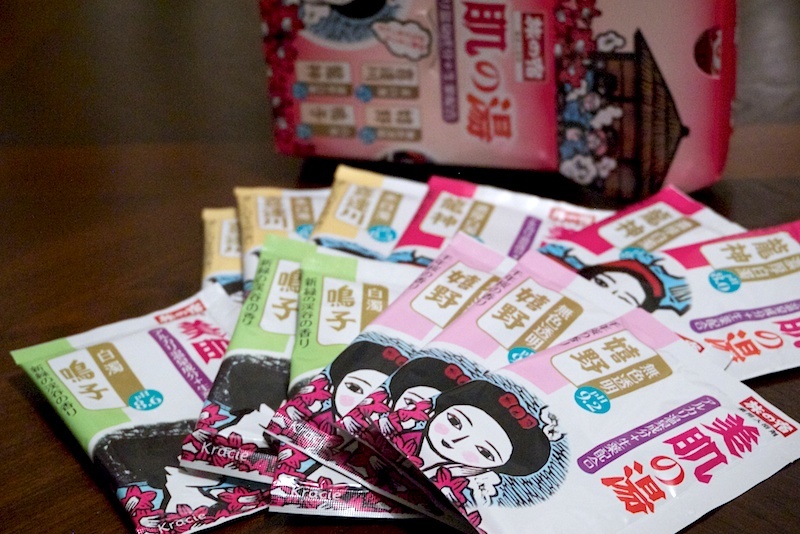 This is the deep pink sachet. Ryujin Onsen is a historical hot spring settlement situated in the mountainous regions of Wakayama Prefecture, it is known since ancient times. 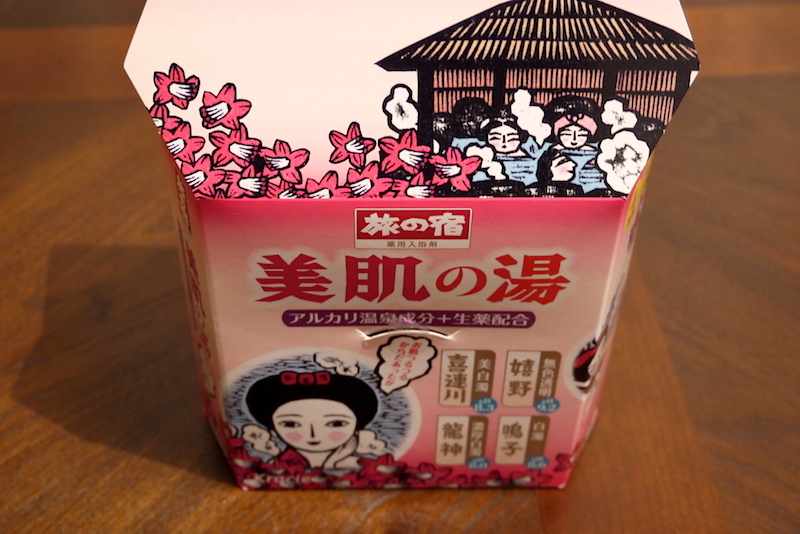 Produces a bath with the flowery scent of plum, at least according to the packaging, I am not sure though, as I only remember that it was very nice. 4/5.